Free Donut Day -Tomorrow June 1st! Krispy Kreme –Krispy Kreme Doughnuts is giving away a FREE donut of any variety (no purchase necessary)! Limit one free doughnut per customer on Friday, June 1 only. Go here for more details. Dunkin’ Donuts –Dunkin’ Donuts is giving away a FREE Donut with any Dunkin’ Beverage purchase! See the Dunkin Donuts Facebook page for more info. LaMar’s Donuts –LaMar’s Donuts is giving away one FREE donut. See the LaMar’s Facebook page for more info. Go here for locations. Price Chopper –“Like” the Price Chopper Supermarket Facebook page for a coupon for a FREE donut. Thanks LivingontheCheap, OoLaLaSavings, MilitaryWivesSaving, & Hip2Save! 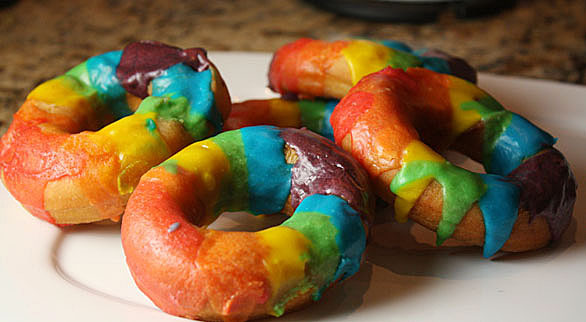 https://i1.wp.com/savvywifehappylife.com/wp-content/uploads/2012/05/Rainbow-Donuts.jpg?fit=586%2C322&ssl=1 322 586 Brandi https://savvywifehappylife.com/wp-content/uploads/2016/09/SavvyWifeHappyLife-logo-2.png Brandi2012-05-31 22:35:062012-05-31 22:35:06Free Donut Day -Tomorrow June 1st! 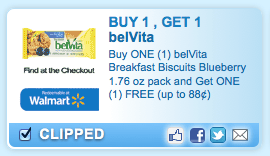 New BOGO FREE Belvita Coupon! https://savvywifehappylife.com/wp-content/uploads/2016/09/SavvyWifeHappyLife-logo-2.png 0 0 Brandi https://savvywifehappylife.com/wp-content/uploads/2016/09/SavvyWifeHappyLife-logo-2.png Brandi2012-05-31 21:33:472012-05-31 21:33:47New BOGO FREE Belvita Coupon! Totsy: Girls & Boys Sandals as low as $3 Shipped! Shipping is FREE for new members. If you aren’t new, I recommend buying a few pairs to make shipping worth it. https://i1.wp.com/savvywifehappylife.com/wp-content/uploads/2012/05/totsy-sandals-girls.png?fit=219%2C201&ssl=1 201 219 Brandi https://savvywifehappylife.com/wp-content/uploads/2016/09/SavvyWifeHappyLife-logo-2.png Brandi2012-05-31 21:29:492012-05-31 21:29:49Totsy: Girls & Boys Sandals as low as $3 Shipped! Another new coupon today for $0.75 off 1 Comet Bathroom Spray! (Reset!) ShopRite: Pampers 64 ct. Wipes just $0.49! This coupon reset for me, hopefully it did for you too! This means more cheap wipes! Here’s a great deal on Pampers Wipies at ShopRite! https://savvywifehappylife.com/wp-content/uploads/2016/09/SavvyWifeHappyLife-logo-2.png 0 0 Brandi https://savvywifehappylife.com/wp-content/uploads/2016/09/SavvyWifeHappyLife-logo-2.png Brandi2012-05-31 17:59:382012-05-31 17:59:38(Reset!) 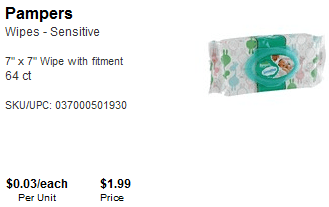 ShopRite: Pampers 64 ct. Wipes just $0.49! 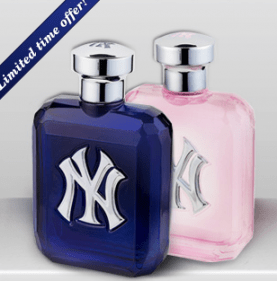 “Like” their Facebook page to score a FREE sample of the New York Yankees Fragrance. Hurry! *HOT* Food On the Table (Sign up for FREE Meal Planning Service)! -Ends Tonight! This ends tonight! Make sure you sign up! It’s FREE for life if you sign up now. Do you guys have a meal plan? We don’t… but probably should! I’ll be trying this out this summer! Food on the Table is an online budget meal planning service designed to help families eat better and save money. The Meal Plan combines weekly sales from your local grocery store with your family’s food preferences. They’ll even create a printable grocery list for you. It’s definitely worth giving a try! For a limited time, you can try it for FREE! The site will gather together what’s on sale for the week. It’ll aslo provide a list of yummy, but simple, recipes using these items! Then you just select the recipes you want to try. Lastly, the site will create a grocery list for you to print! https://savvywifehappylife.com/wp-content/uploads/2016/09/SavvyWifeHappyLife-logo-2.png 0 0 Brandi https://savvywifehappylife.com/wp-content/uploads/2016/09/SavvyWifeHappyLife-logo-2.png Brandi2012-05-31 17:39:002012-05-31 17:39:00*HOT* Food On the Table (Sign up for FREE Meal Planning Service)! -Ends Tonight! 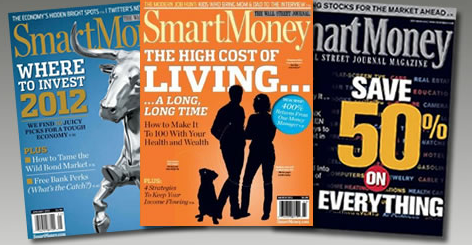 Rewards Gold is offering a free subscription to Smart Money magazine! 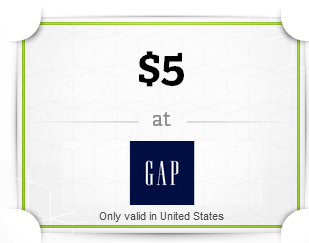 You can get a $5 from GAP when you download WRAP. It’s a free app for social gifting. Check out the other baby coupons while you’re there!